Gameboy Advance (GBA), is the name reminds you something about your childhood :D ? 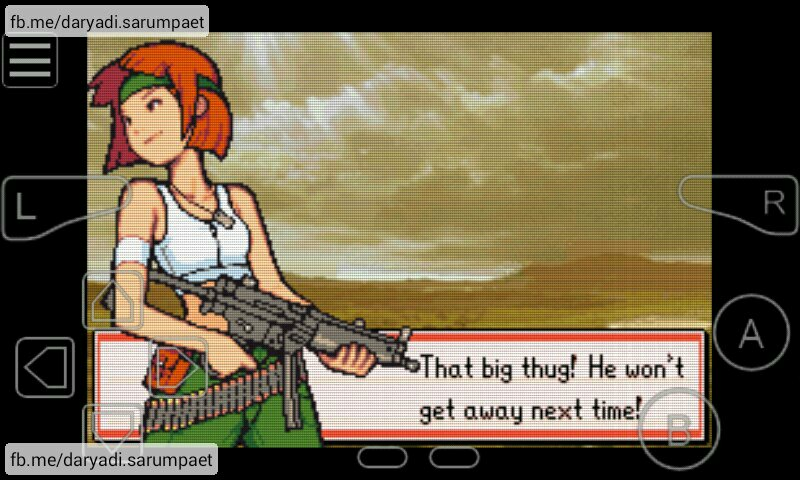 Since I own Android device, I then became start to like playing retro game on it. OK, let's back to the topic. 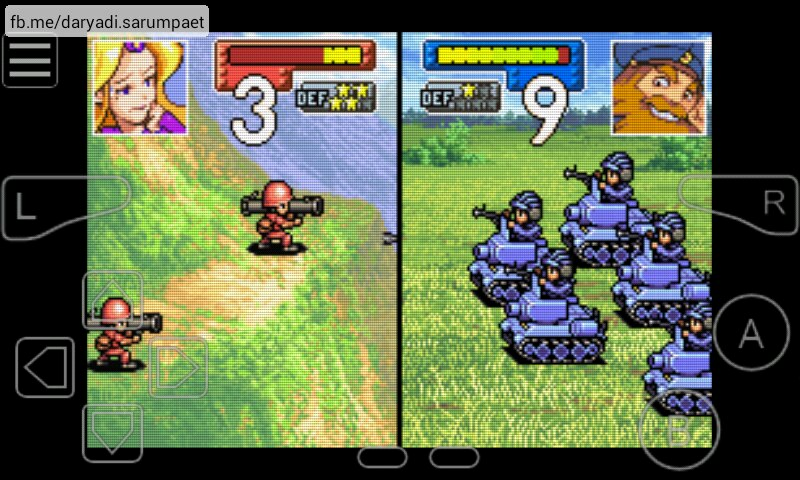 Now I want to share a good GBA game on my opinion, it is titled Advance Wars. 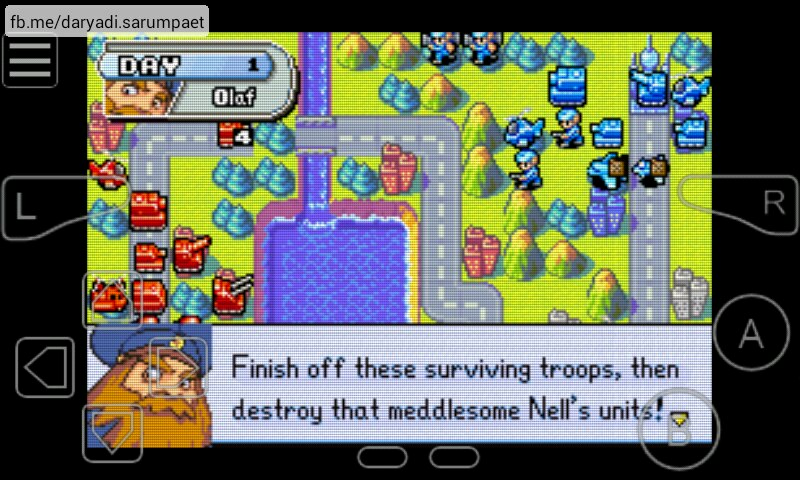 Advance Wars GBA game is an addictive strategy turn based game. You can choose from all commanders available as your character and engage in a battle a.k.a war or campaign. Up to 4 commanders can engage in a battle, e.g. 1 on 1, 2 on 1, 3 on 1, 2 on 2. Each commander has his/her unique special power. Better save your special power for the most urgent time. And don't forget to watch enemies side, whether they want to crush you using their special power. Start by conquesing cities around you, if you have collected enough golds from the cities then you can start build barracks, airport, port etc. And finally produce your own troops to raise your firepower and raid enemy headquarter base! Besides playing solo mode, there are also story mode and link cable mode to play againts your friend. In the beginning of story mode I thought that Advance War is an easy game, but as we progress further the missions become more and more difficult. I even need to retry plenty of times to finish the story mode. 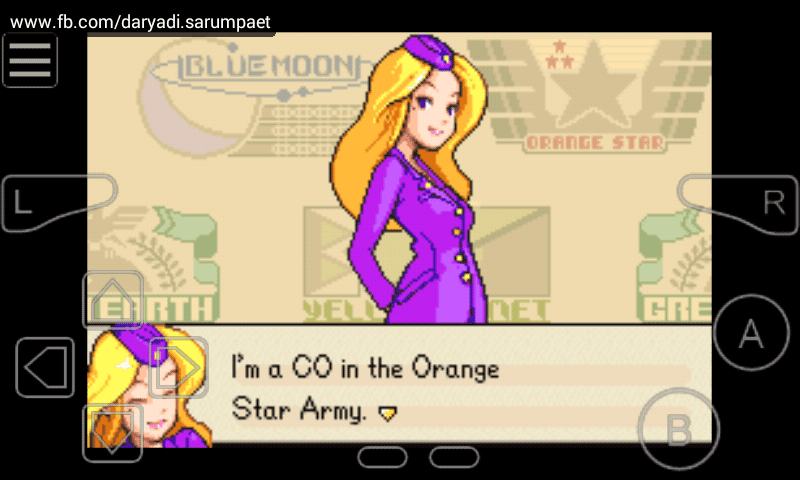 Andy (you can change the name) is on training on Orange Star Army as future commander. But through his training, there are many casualties happened in many places and Orange Star sudenly became target of other countries. You as the advisor, must progress through every wars lies in your eyes and solve every obstacles in order to find the mastermind of this chaos. 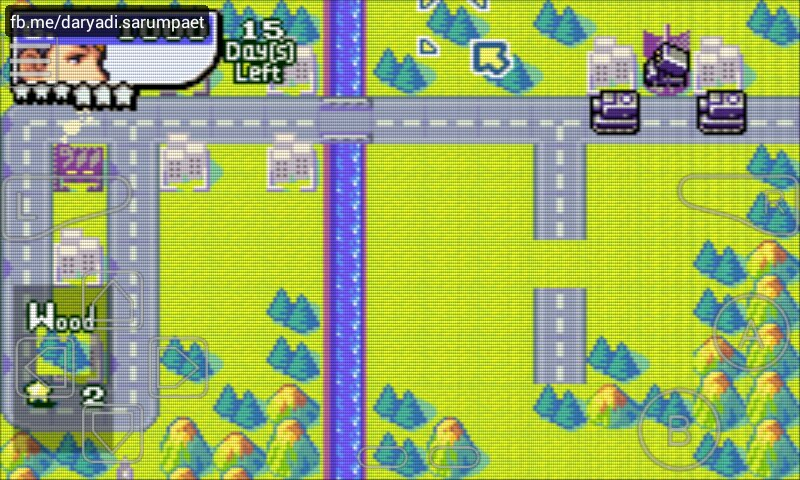 Comments (0) in "Advance Wars GBA Game on Emulator"